Target and Eataly have similarly announced they will stop selling Batali’s products. Target announced Wednesday it would pull Batali’s pasta sauces and cookbooks from stores and online, Eater reported. Eataly, the 50,000-square-foot mecca of Italian food Batali helped bring to the US, pulled the chef’s products from shelves on Tuesday. 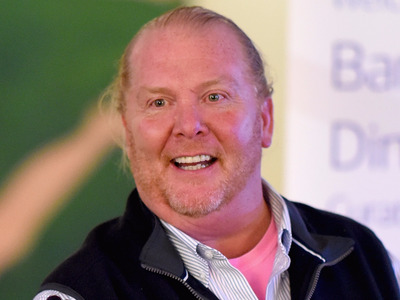 On Monday, Eater reported that four women had shared stories of Batali touching them inappropriately, with reports of improper behaviour spanning two decades. As of Thursday morning, Walmart was still selling Mario Batali products online, with offerings like sauces, pastas, and Batali’s cookbooks. The landing page for the line, however, had been taken down.